This is an issue of the Herald of Freedom published by G. W. Brown & Co. in Lawrence, Kansas. 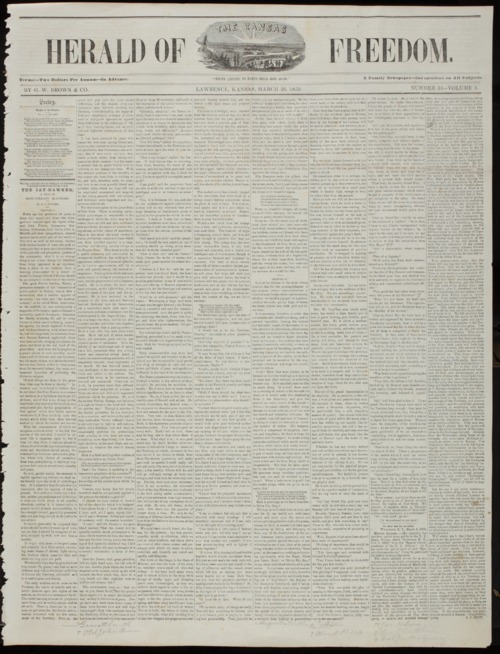 Much of the front page features an article "The Jay-Hawker; A Tale of Southern Kansas" by P. P. Fowler. The other three pages contain news stories and advertisements. Creator: G. W. Brown & Co.